2 Bdrm Semi-detached Dwellhouse. Ground flr: Hall. Lounge. Dining kitch. Bathrm. 1st flr: 2 Bdrms. Shower rm (CT Band - D). Garden. Parking. Fixed price £200,000 Entry by arr. Viewing contact solicitors. (EPC band - E). 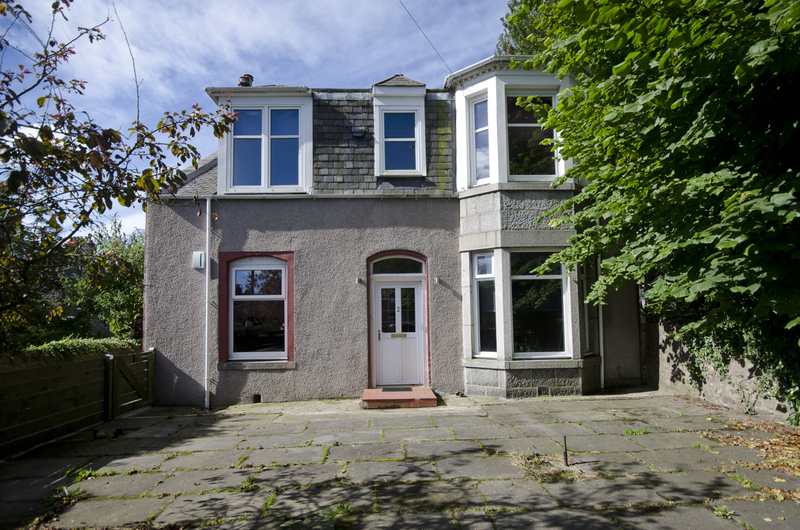 We are pleased to offer to the market for sale this extremely spacious semi detached house nestled in a beautiful leafy dead end street ensuing peace and privacy, yet enjoying a central location close to Aberdeen city centre, and the property is just a few minutes walk from Aberdeen University. The property is also only a short distance from the hospital complexes and public transport links to the wider city, and the retail parks at Berryden and Kittybrewster are within easy walking distance. Many of the original period features have been retained, including curved balustrade, panelled doors, ornate cornicing, and high skirtings and yet the property benefits from all the convenience of modern living with gas central heating boiler and UPVC double glazing. The property which has been extensively upgraded by the present owner comprises generous lounge, excellent dining kitchen, two double bedrooms, a shower room and a bathroom. This property offers an excellent opportunity for those seeking a well-proportioned home in a most convenient location and will also appeal to the buy to let market. Early viewing is encouraged. 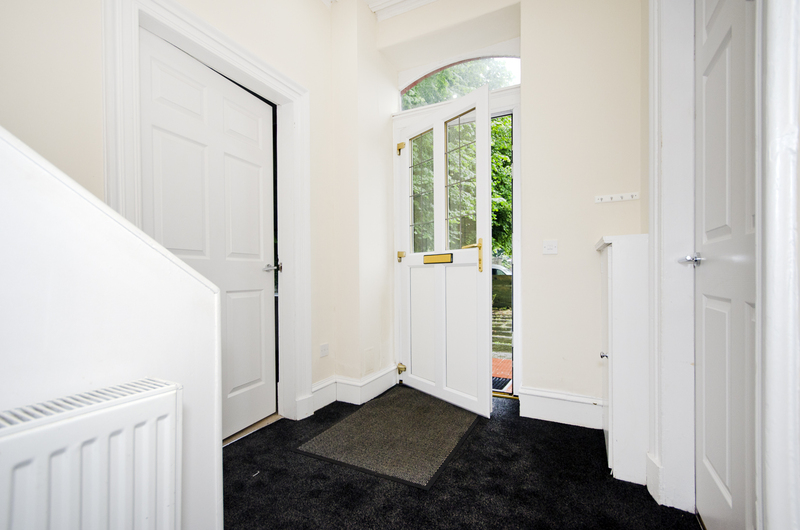 Entrance Hallway Enter via the part glazed door into a large and welcoming space with lovely curved balustrade and high ceilings amplifying the already spacious area. Lounge (19.6 x 12.0 approx.) 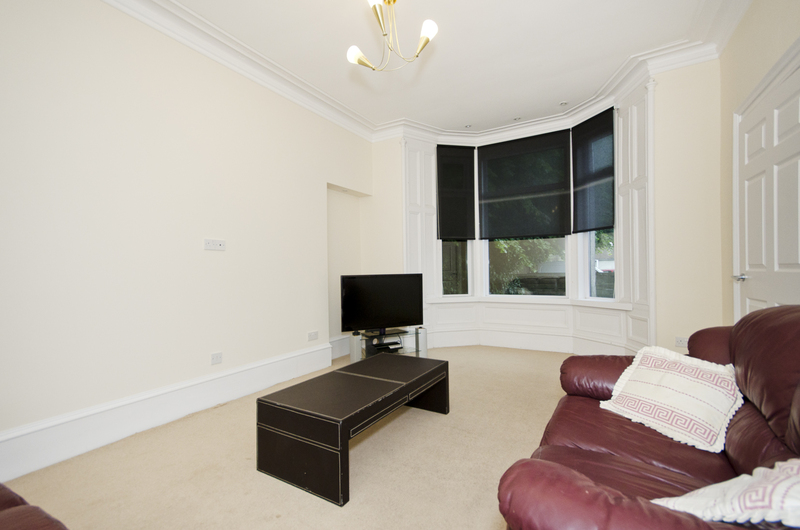 A wonderfully spacious room to the front benefiting from a large bay window which floods the room with natural light. 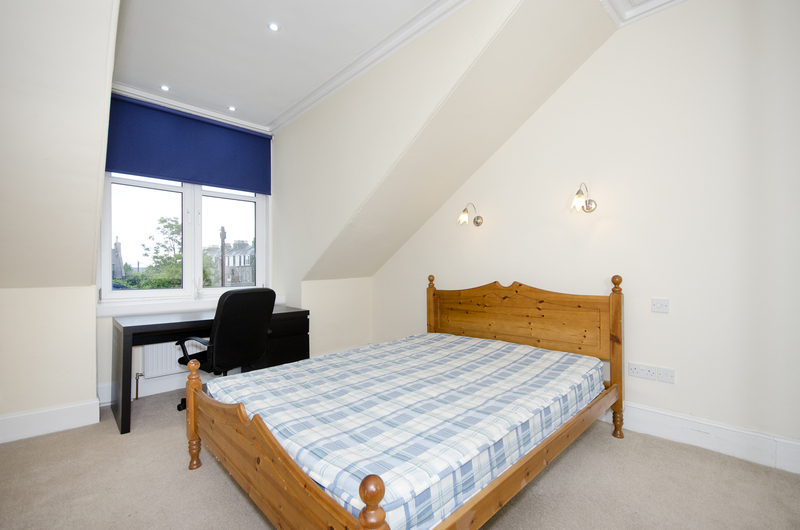 Presented in cream tones with fitted carpeting this room enjoys deep skirting’s, high ceilings and beautiful cornicing. Ample space for a variety of freestanding furniture to suit. Dining Kitchen (10.3 x 9.8 approx.) 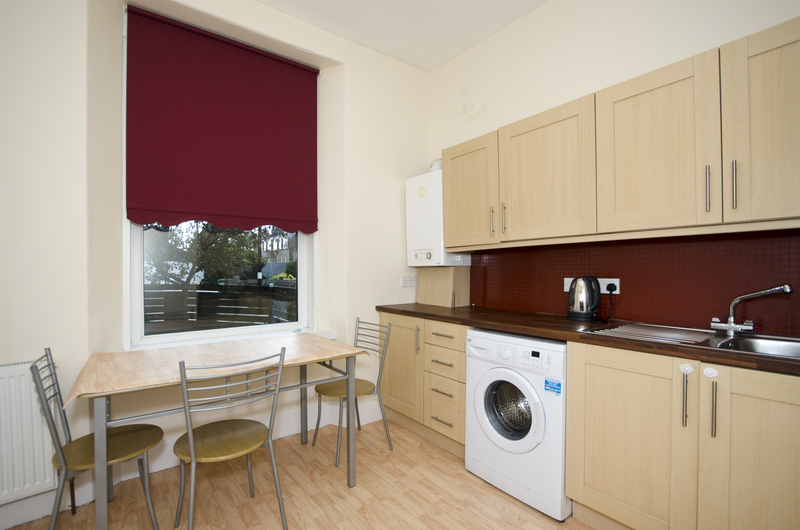 A lovely spacious room overlooking the front garden, the dining kitchen is well equipped with a range of cream units at floor and eye level, with walnut counter tops and coordinating splashbacks. The fridge, washing machine and oven, hob and hood are all included in the sale. Space for a large dining table and chairs. 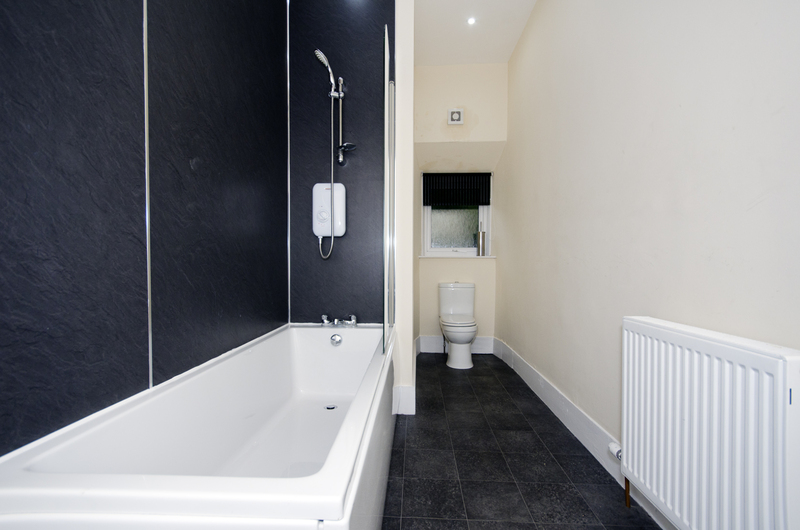 Bathroom (19.9 x 5.1 approx) Very large bathroom comprising of a three piece suite in white with over-bath shower. Again lovely high ceilings add to the spacious feel. Built in shelving offers excellent storage. Extractor fan. Modesty glazed window. 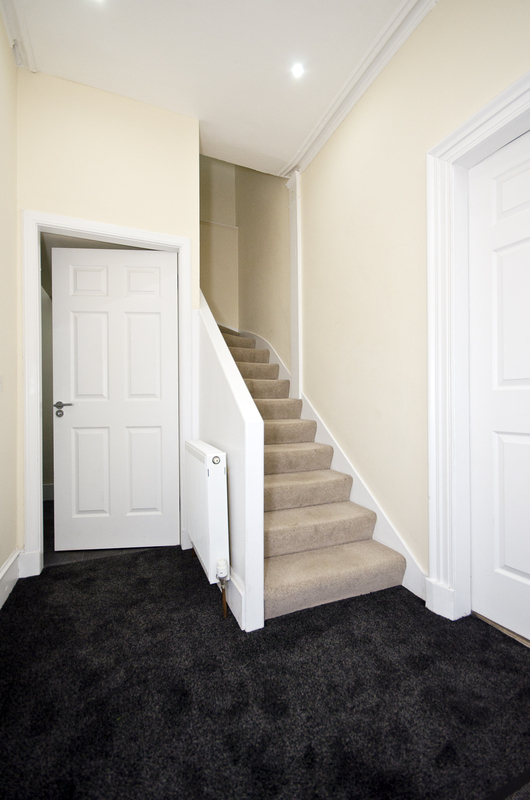 Beautiful sweeping staircase with curved balustrade leads to the upstairs accommodation. Double Bedroom 1 (12.10 x 17.2 approx.) 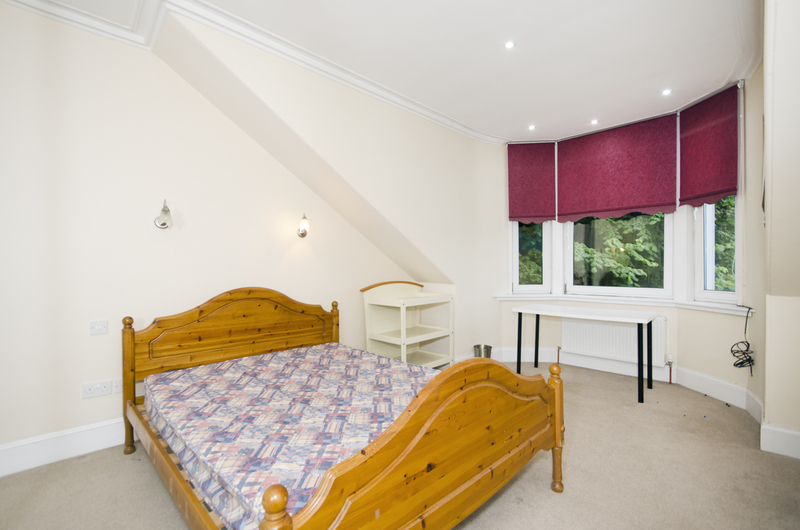 This large and very strking double bedroom enjoys the wonderful feature of a large bay window with deep sill flooding the room with natural light. Quadruple mirrored fitted wardrobes spaning the length of one wall, offer a fantastic amount of storage. Shower Room (7.10 x 6.4 approx.) 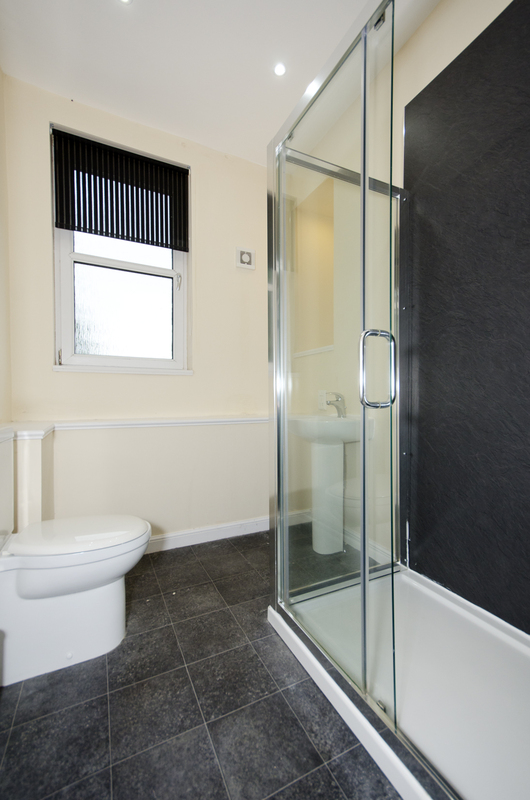 This attractively appointed shower room has a two piece suite in white, and a double sized glass enclosure shower. Large modesty glazed window ensuring good natural light. Chrome ladder style heated towel rail. Shaver socket. Extractor fan. Double Bedroom 2 (10.8 x 16.4 approx.) 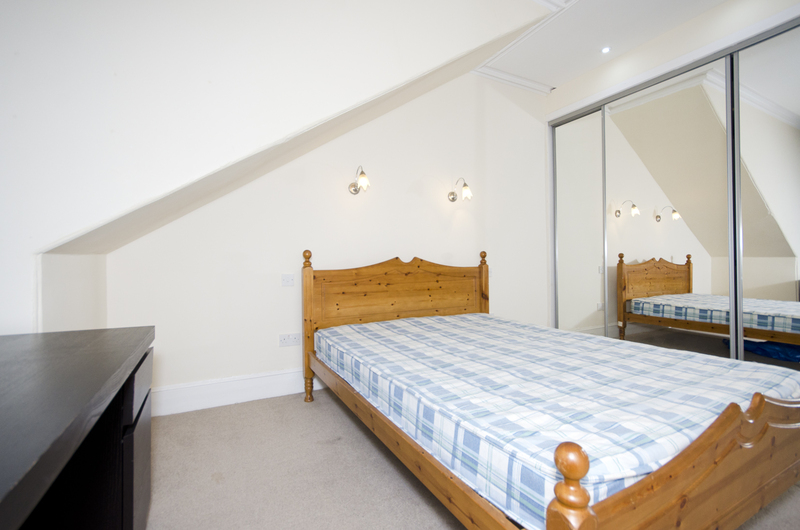 A bright and spacious second double bedroom completes the sleeping accommodation. 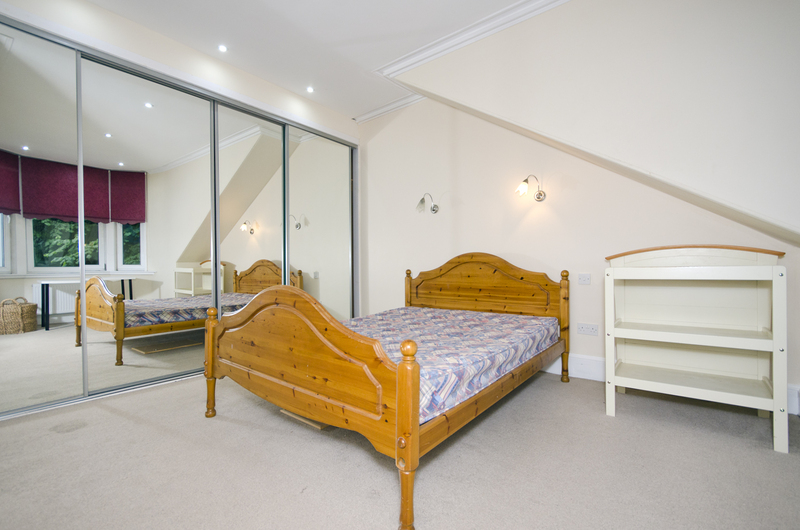 Again enjoying the quadruple mirrored wardrobes spanning one wall and large window with deep sill. Outside Fully paved and enclosed garden bordered by mature trees offering a lovely degree of privacy and leafy outlook. Directions Travelling from George Street in the city centre proceed to the end and onto Powis Terrace and at the traffic lights turn right onto Bedford Road. Take an immediate right onto Elmbank Terrace and Elmfield Avenue is located the second on the left, with Elmfiield Place situated about half way down the Avenue to the left.